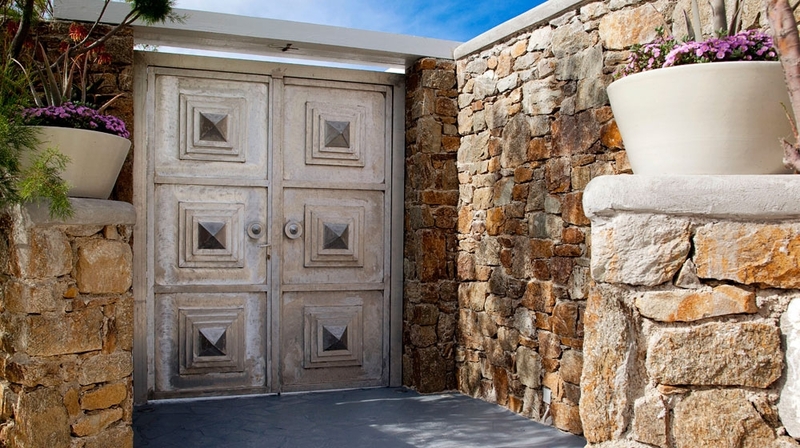 Built on varying levels, landscaped gardens, rocky steps and narrow paths connect the distinct and secluded areas of the accommodation and the pool area. 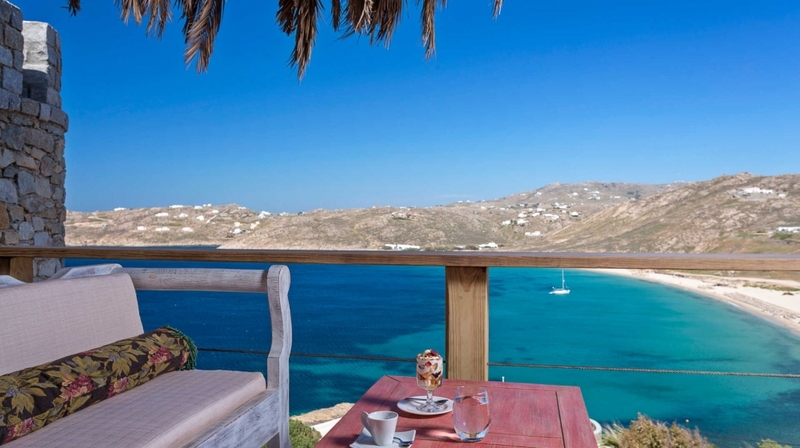 Each area of the resort commands stunning views of the bay and the flat Mediterranean sea beyond, and in the distance you can see the rising islands of Naxos and Paros, majestic and mysterious. 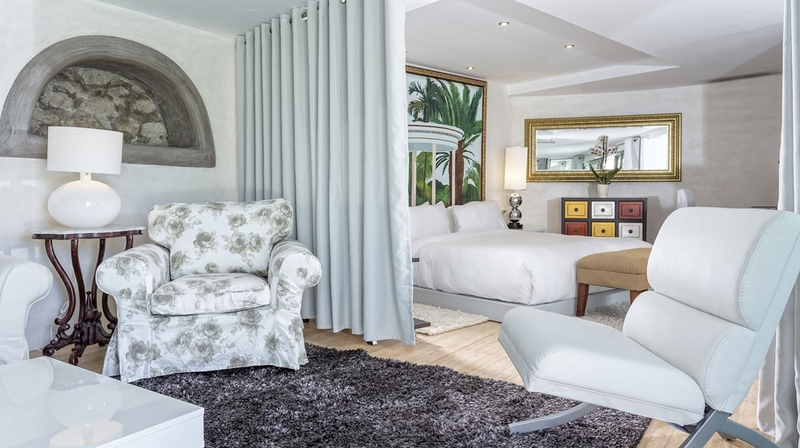 Junior Suite: The Junior Suite offers privacy and luxury with dappled marble floors, high ceilings and beams. A full kitchen with wooden cabinets and marble, and a unique stone bathroom complete the look. Superior Suite: The pool-side Superior Suite features a full marble bath, a palatial kitchen with handcrafted cabinets, a marble breakfast bar, travertine tile flooring and a large area for dining or lounging. 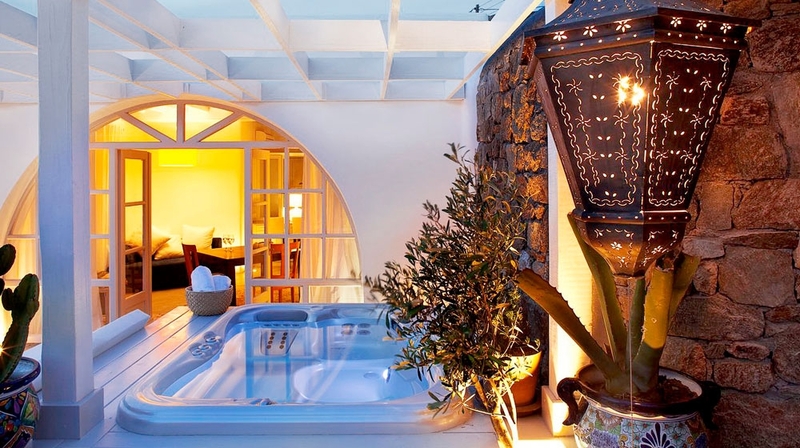 Junior Villa: The Junior Villa is accessible via a landscaped garden area and has its own private jacuzzi. The living area is welcoming and has beautiful wood floors, natural stone walls and a large arched window. Stone arches frame silhouettes of Naxos and Paros. Deluxe Suite: The Deluxe Suite offers luxury and privacy. 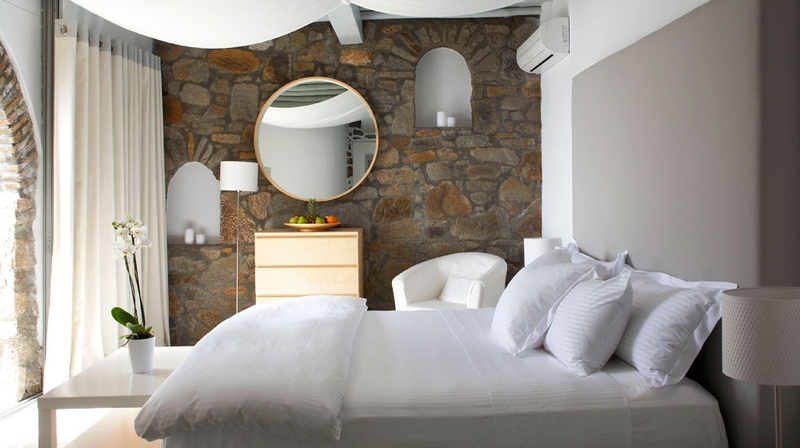 It is situated with perfect sea views and features original stonework and stone flooring, a luxurious kitchen and an immaculate bedroom with views of Cavo Elia and the silhouette of Paros beyond. The suite also boasts a private jacuzzi. 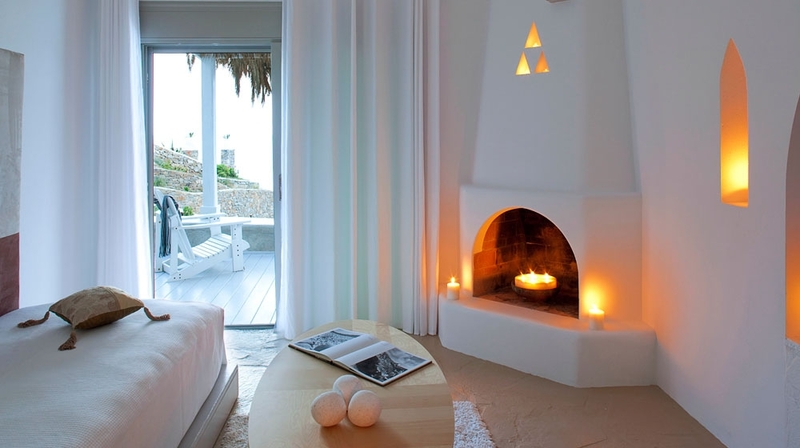 Deluxe Villa: The Deluxe Villa is on two floors and is decorated in white marble flooring with natural stone walls. 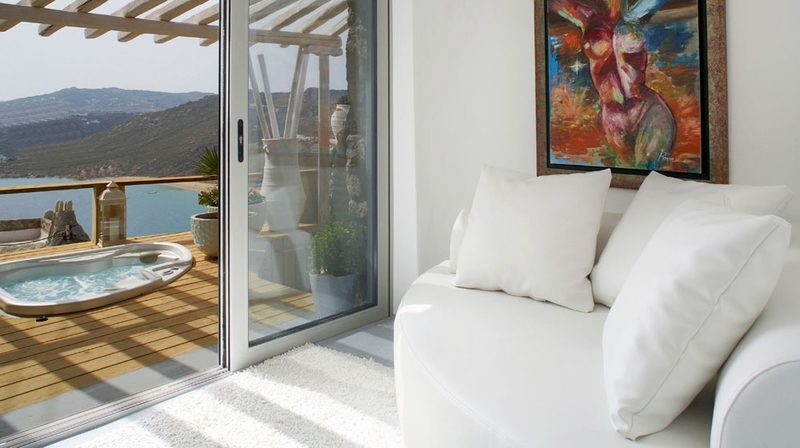 It has three private balconies and a garden with sea views. 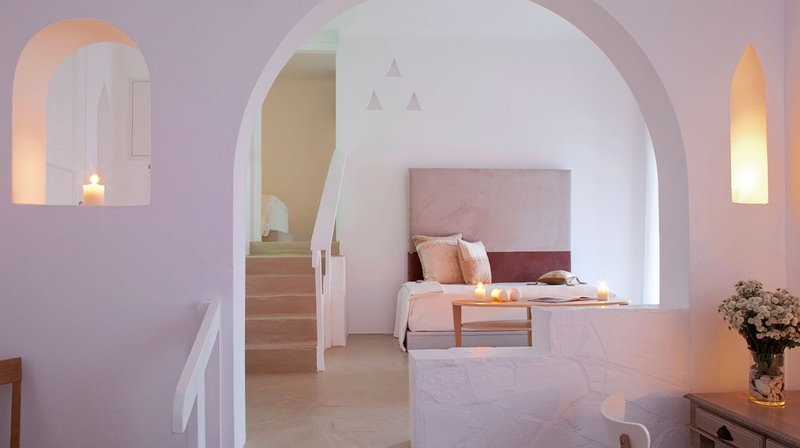 Inside, Spanish wrought iron spiral stairs lead to the bedroom and sumptuous king-size bed. The suite has a private jacuzzi. 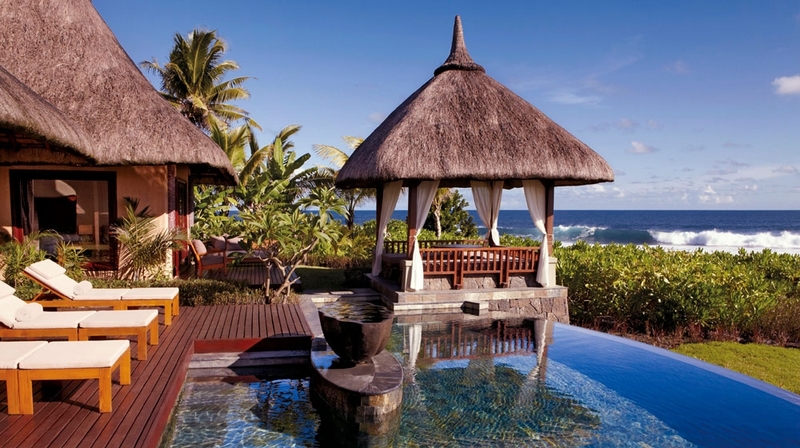 VIP Villa: The VIP Villa offers luxury and privacy. With breathtaking views, this suite features two bedrooms, a luxurious kitchen with a dining area and a 120m2 Veranda with a patio. The suite also boasts a private jacuzzi. 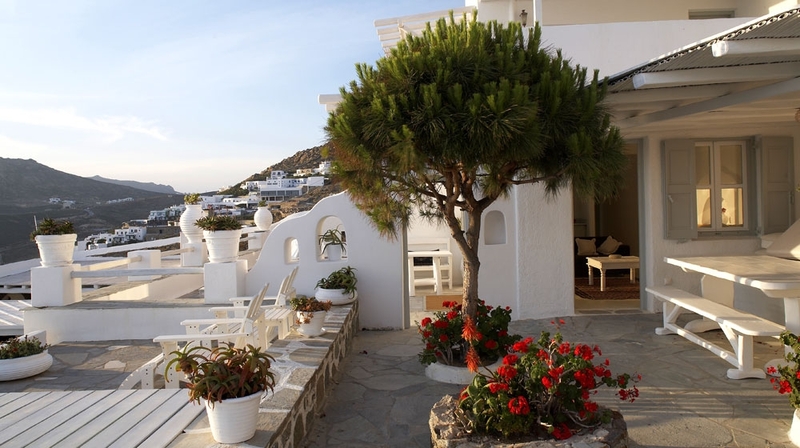 The swimming pool enjoys views of the islands of Naxos and Paros. The Greco Philia features a yoga room. There is also a wellness centre with sauna, hammam, hydromassage and massage sessions available. Complimentary brunch is included in the rooms as are gift baskets filled with home made natural beauty products as well as fresh juices, waters, teas, freshly baked goods, and other goodies. An on-site chef is present, to whip up culinary creations made from the freshest local seafood and vegetables grown in their own organic veggie garden. 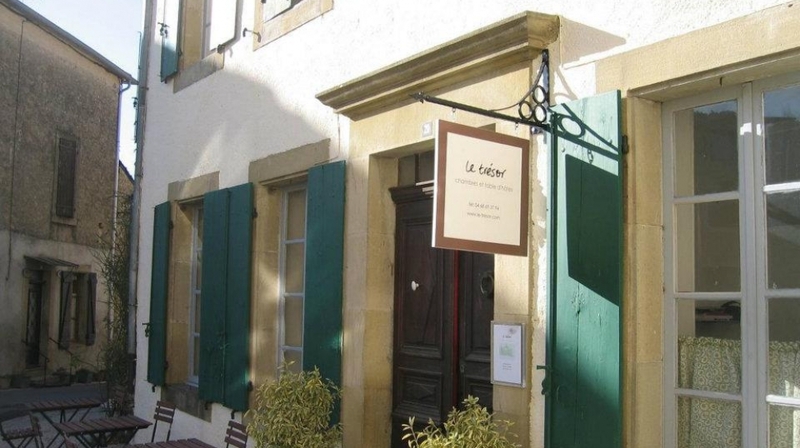 The cuisine is mainly Mediterranean and Caribbean cuisine, with an oriental flare, all served with home made organic wines. Picturesque town of Ano Mera is just two kilometres away. 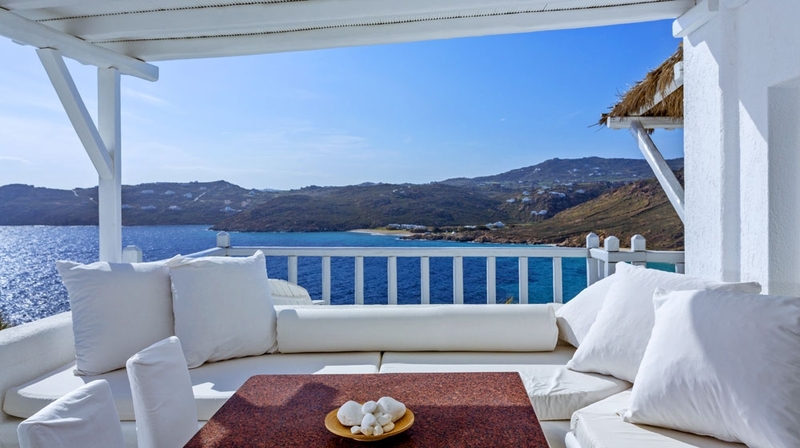 By Plane: The nearest airport is Mykonos, only a short drive a way.